Macaroni art makes for a great Father’s Day gift, but if you really want to see dad slapped with a perma- grin on his face, he won’t mind if you drag him to the Washington Brewer’s Festival for a serious thirst quenching retreat. The festival is hosted at King County Parks’ Marymoor Park and kicks off Friday night (21+ only) with a selection of exclusive beers accompanied by a live music-thumping stage. The following two days are family-friendly for all ages and packed with gourmet food trucks, more live music, a much anticipated brewer’s keg toss, wine and cider tasting. Dad’s taste for malts, hops and yeast will be put to the test by 74 Washington breweries featuring over 250 different local beers. With so many choices, he’ll want to hang out all day and that’s why festival organizers welcome folks to bring blankets and folding chairs for your extended-stay comfort. Just leave the tents at home – they don’t want you to get THAT comfortable. As for the offspring, they’ll be adequately entertained as they stake out in the kids area buzzing with craft activities, inflatable toys and a premium craft Root Beer Garden that will surely get a steady stream of adult visitors, too. Tickets are available online and at the door. If you really need an unbiased endorsement to make up your mind, Seattle Magazine says you should be there and that sounds bona fide to us! 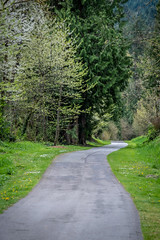 Previous Post Join us on the trail: East Lake Samm Trail, Issaquah segment grand re-opening tomorrow!